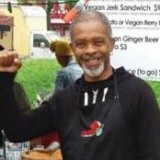 Selling Uhuru Pies to your friends and family is one of the best ways you can support the Black Power BluePrint and share a delicious holiday tradition at the same time. 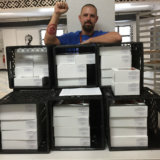 Grow the Uhuru Pies network by setting up a pie tasting and selling pies to people you know. First Name * Please enter a your first name. Last Name * Please enter a your last name. Street Address * Please enter your street address. City * Please enter your city. State * Please enter your state. Zip Code * Please enter your zipcode. Company Name Please enter your company's name. Company Phone Please enter a number. Street Address Please enter your company's street address. City Please enter your company's city. State Please enter your company's state. Zip Code Please enter the zipcode. You will use your email address and password to log in to the Seller Portal, where you can place and track orders, access promotional print and social media templates, and get detailed selling tips. Password * Password must be at least 8 characters, contain one uppercase letter and one special character or number. Confirm Password * Passwords must match. The fun part! This information appears on the Seller Page. If left blank, we'll use your first & last name instead. Goal Number of Pies * Please enter your pie selling goal. Let others know why selling Uhuru pies is important to YOU. By checking “Yes” and creating my Seller Profile, I am committed to achieving my pie sales goal. I will sell as many pies as possible and promote the mission of Uhuru Foods & Pies to my friends, family, coworkers and others that I know. I will provide pie buyer contact information to Uhuru Pies when placing all orders. I will do my best to ensure my pie buyers receive their orders in a timely fashion. I agree to conduct myself in accordance with the mission and values of Uhuru Foods & Pies when promoting Uhuru Pies. I understand the sales of Uhuru Pies supports the programs of Black Star Industries and that pie sellers receive no monetary compensation for promoting Uhuru Pies. Yes, I accept this agreement Please check this box to indicate your agreement. Would you like to host a presentation/pie tasting at my job, home, school or organization? Yes! Please contact me about hosting a pie tasting. Sign up TODAY! Set up your Personal Pie Selling Page. 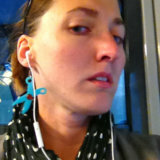 Talk with your friends, co-workers and colleagues. Hand out postcards at your job, church, school or other organization. Put an announcement in your group’s newsletter. Put up posters in the lunchroom or common area. Send out an email or an Evite or Facebook announcement about Uhuru Pies. Organize coworkers to come to a pie tasting with sample tastes of Uhuru Pies. Ask people to DONATE A PIE. Everyone you know can buy one or more pies that Uhuru Pies will donate to a local charity that is serving holiday meals to those in need. Promote the fact that they are made from scratch with all natural ingredients and taste delicious! Pick a day to help sell these pies with your friends or group at our distribution sites. Orders of 10 or more pies can be delivered on the day you request to your office or site, or you can arrange to pick them up. Other delivery arrangements can often be made. Let us know in advance of your pickup/delivery needs and approximate order. Final orders can be submitted up until 2:00 pm two days before the day they are needed. For example, if you want a pie on Tuesday, you must order it by Sunday at 2:00 pm. All orders must be pre-paid online or in cash/check (check payable to “Uhuru Pies”). PHONE: Call us at 1-800-578-5157 and leave a message with your order: the total number of each type of pie, date/time for delivery or pickup. IN PERSON: Bring your orders to the Uhuru Kitchen or any Uhuru institution in your area. Get a seller’s order form HERE. ONLINE: Select your location (St. Petersburg or Oakland) and then buy pies! Selling Uhuru Pies is a way for me to help the Uhuru Movement, while also providing amazing holiday food to the community. It’s a win-win! I am a public school teacher and am excited to be a part of reparations and support reclamation of African economic and cultural freedom!! 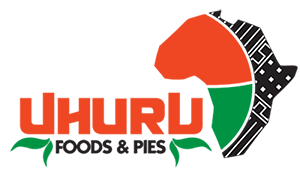 Uhuru Foods and Pies is poised for explosive development to benefit African people for liberation and self-government. This translates to a vision of a world without the colonized and the colonizer. Uhuru Pies are POWERfully delicious.